May I trade the months of July and August for an additional May and September each, please? I could easily do without these hot and humid summer months, served with lots of mosquitoes as side dish. With each degree exceeding 77 °F/25 °C, my list of enjoyable activities gets shorter and shorter. At 97 °F/ 36 °C outdoors and only little less indoors, there are very few things left, I like to do. Besides taking a shower, eating ice cream and watching our cats, there is only one more fun thing to do. Opening mail from sweet friends that is. A package from my dear Marie from Lost Bird Studio is a treat at any temperature. Marie made this gorgeous bracelet for my birthday. I love everything about it. She had become a pro at making s-hook clasps. She gave me three fabulous sets along with some lovely bought ones to create jewelry with and a pretty metal number tag. Marie also sent me some beads and other bits. She was so sweet to fulfill some wishes I had and bought seeds for me that are difficult to find here (lavender, endive, cilantro, thyme and cornflower), a pair of black espadrilles and some packages of gelatin powder. Marie enjoys gift wrapping and her packages always look so beautiful. Thank you so much, my friend! I love your gifts! A fabulous flower card came from my dear Dorthe over at Den Lille Lade. I love the colors and the great textures. The leaves on the flower are real dried ones. Thank you very much, dear Dorthe! If you guess that I am off now to take a shower and then have some ice cream while watching the kitties, you are absolutely right. Have a great weekend! 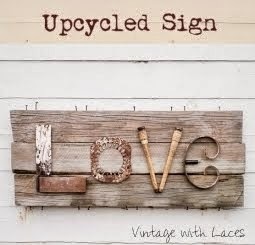 I will be back soon with a necklace that was inspired by one of my favorite bloggers. For this week’s Summer of Color challenge, Kristin chose two oranges and one blue. 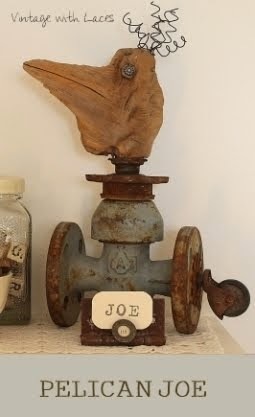 This combination just screamed rusty assemblage to me. I glued some vintage book pages onto a wooden board and painted them with diluted acrylic paints and water-soluble pencils. I sanded some areas down. After some stamping, I rummaged through my boxes of rusty smalls and constructed a pendulous object. The upper part is fixed from the back with a screw. I named this assemblage “d-pending”. This was the last week of the challenge. I did have a great time with Kristin’s weekly color prompts. Thank you so much, Kristin! I was a bit out of my comfort zone here and there but that is the point of a challenge. It is good to be pushed in another direction from time to time. I already miss the challenge and hope it will be back next year. Here is a recap of my “SoC” projects. I am happy with all of them but my favorite is today’s assemblage. I am a rusty girl, what can I say? 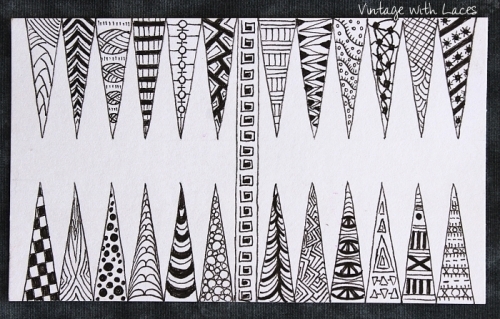 For the first two weeks of the ICAD challenge over at Daisy Yellow, it had worked out and I created something on an index card every day. In the meanwhile I am pretty far behind but I still have a second batch of cards to show you. 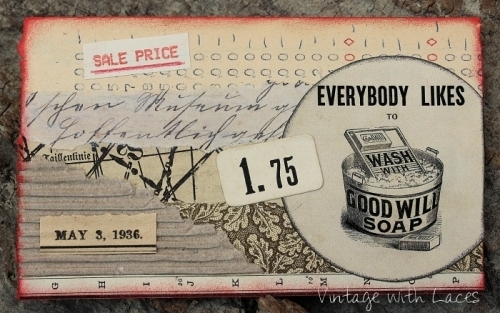 I made a few collages without following the given prompts and it started pretty harmless with a vintage soap image. 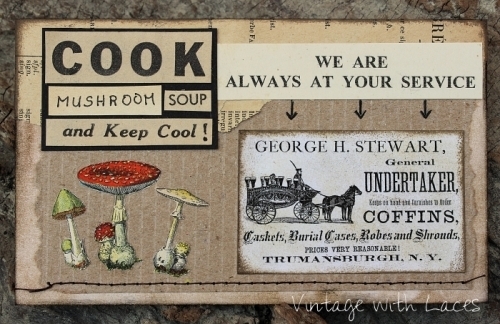 When I found a vintage ad for an undertaker business in my folder and then images of some toxic mushrooms, I could not hold off and had to let out my black humor. 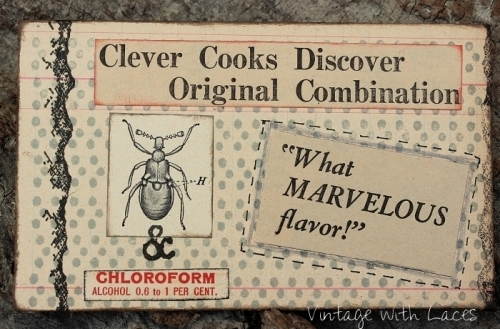 The food theme continues with this amazing discovery. Some headlines of a 90 year old newspaper had stirred my imagination. Christmas is only 5 months away. It is good to have some early gift ideas, don’t you think? Dessert anyone? You can’t resist, or can you? I have to admit, that I had lots of fun with these collages and I liked the combination of vintage papers and some pops of red. Last week prompts were all about games and I managed to make 4 cards. For me this summer seems to be all about trying new things. If you had asked me a year ago, if I could imagine to paint an abstract painting one day, I would have raised my eye-brows about such a ridiculous question. Never say never applies once again! For this week’s Summer of Color challenge, I painted my first abstract encaustic painting, using the required two greens and one pink. I admit, it is not a lot of pink but it is there. I call it “Tempted” because I was tempted to add something figurative but I was a good girl and resisted :). The inspiration for this came from Shari Replogle and her wonderful “Wax on Wednesday” videos on YouTube. I have been watching them frequently over the last few months and was intrigued. If you are interested in encaustic painting techniques, I would highly recommend Shari’s videos. You can also visit her blog “Plays with Paper”. I am glad I tried something new again. This was so much fun and for sure not my last abstract encaustic painting. While I prefer a rather less lacey style for myself now, I gladly dug through my lace stash to create some birthday gifts for my dear friend Marie over at Lost Bird Studio. Marie and I have exchanged gifts for several years and it was not so easy to come up with some new ideas. I sewed her a lace covered fabric basket she can use for example in her studio to store fabric scraps or doilies. 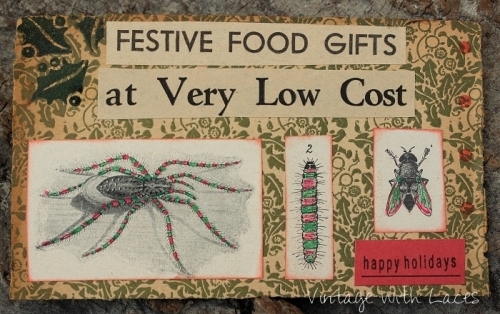 The French label is one of many beautiful free vintage images you can find at The Graphics Fairy. Marie has a lovely shabby chic garden shed and I thought she might like to hang up a romantic bunting there. Finally I sewed a little keyring pendant with her initial M stamped on the front. It is a small padded cushion, so that it can be found in the maze of a woman’s purse. A little bit of luck assumed, of course. I thought I throw in some pictures today I took around the house. These are our views to one side and back up the hill. The pictures are some weeks old and the gorse has withered in the meanwhile. Here is Barney with one of many, many turtles. One of two toads we see frequently. This one likes to take a bath in the bird bath you can see in the background of the picture of Barney and the turtle. Afterwards she disappears somewhere underneath the rocks. Cecily all grown up. I had found her last year in a tree, injured and starving. It had taken over 5 weeks until Barney accepted her. Now they play together and sleep snuggled up to each other. I will be back soon with a batch of ICADs and my Summer of Color entry for this week. For this week, Kristin gave us 2 reds and 1 metallic to work with. First I thought, that this combination was even worse than last week’s purple and yellow but very soon I had several ideas popping up in my head. I considered painting a friend’s finger nails with a crazy pattern, creating an early Christmas card, and making a pretty berry dessert, decorated with bits of leaf gold. As you can see I dropped all those amazing ideas and sewed a cuff instead. I played with all kinds of metallic buttons and finally chose a silver dragonfly as the focal point. The cuff turned out less embellished that I had in mind originally. I had tried to add more beads, other fabrics and scraps of lace but nothing really appealed to me. I just like a rather simple look for this piece. If you didn’t participate in the challenge, what would you have created? to all my American friends!